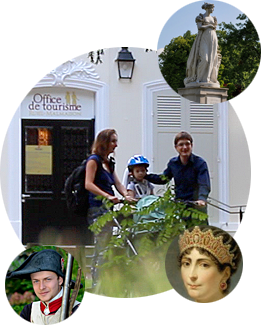 It now houses the city’s Museum of Local History and retraces the history and evolution of a small village in the Paris region from Charles Le Chauve to the present day. Until September 6, 2019, the Museum of Local History hosts the exhibition "Bonaparte and the Sands of the Desert". Spend your weekend with your family in the countryside ! Exhibition "Paint in the Creuse Valley 1830-1930"